To be recognized as leading Condominium and Hotel, Resort, Restaurant and Bar in Subic Economic Business Zone, with disciplined, happy and highly-skilled staff and crew, committed to give our customers the highest standard of Service. 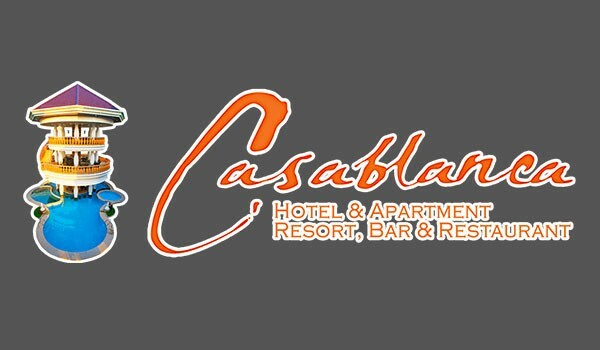 Casablanca Development Inc. is a Condo-hotel, Resort, and Restaurant and Bar, situated in Economic Business Center in Subic Freeport Zone, a world-class cosmopolitan metropolis bursting with attractions, water sports, nightlife and shopping. Miles of sparkling shoreline, museums, parks, and a diversified line-up of restaurants awaits, along with a gleaming seaport boasting more passenger cruise activity than anywhere else in the country, a best and great place to put up business, where Casablanca Development Inc. is located. Casablanca was formerly known as Race Rock Sports Bar, which offers scuba diving lesson and session, sea piper plane rental and Jet Ski rental service. The business was founded August 5, 2004.Casablanca is managed by its president, a Norwegian Citizen Mr. Gunnar Strand. Mr. Gunar, Mr. Strand has changed Race Rock Sports Bar’s line of business and turned it to Condominium, hotel, Resort, Bar and Restaurant business. At Casablanca Hotel Subic we have affordable Standard and Family hotel rooms and fully-furnished condominiums.